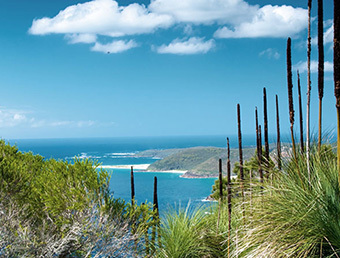 Hawks Nest is situated on the southern side of the Great Lakes region and the northern side of Port Stephens, an easy 2 and a half hours drive north of Sydney. The “singing bridge” separates the twin towns of Hawks Nest and Tea Gardens and was aptly named from the sound the wind makes as it passes through its rails. The Hawks Nest area is surrounded by pristine waterways and is handy to the spectacular Myall Lakes National Park, which is a haven for nature lovers and bushwalkers. 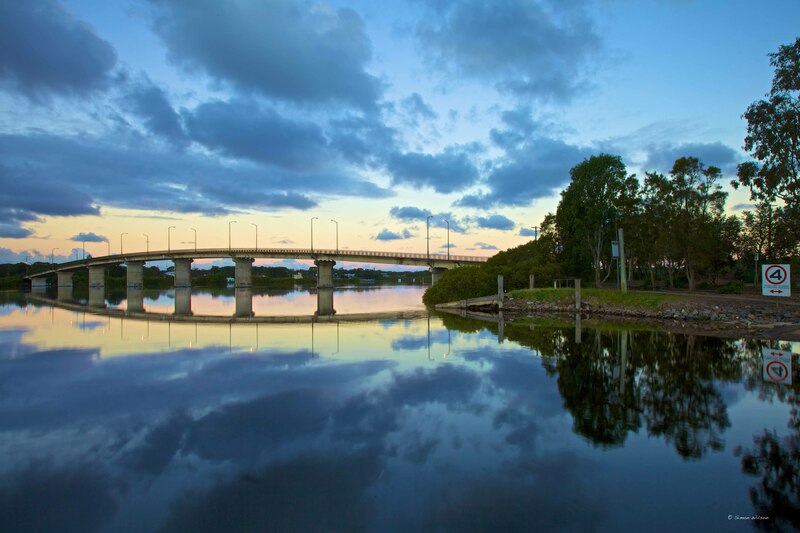 The Myall River is 50 metres from the Hawks Nest Motel, with a picnic area and childrens playground. Perfect place to watch beautiful sunsets. The Hawks Nest Ferry wharf and boat ramp are situated adjacent to the park and is the boarding stop for the ferry to Nelson Bay. Bring your own or hire a boat at Tea Gardens Boatshed to explore the pristine waterways of the Myall Lakes. The Hawks Nest Motel has space for off street boat parking. 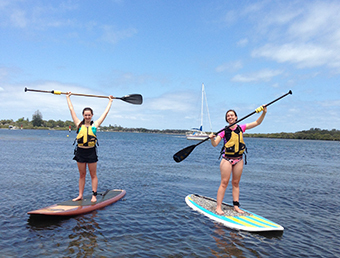 Kayk and canoe hire is available from “EzyKayaks“, at the beach adjacent to the Ferry Wharf and boat ramp, and also from Lazy Paddles in Tea Gardens. Bushwalking in the Myall Lakes National Park is a popular pastime where it is still possible to have a picnic or barbeque in a secluded natural environment. Walk south along Bennets Beach and climb Yaccaba Headland for breathtaking views of the coastline. 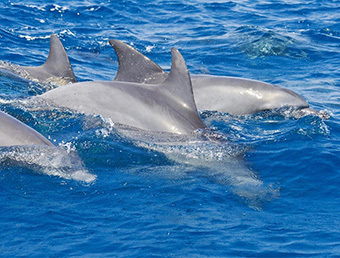 Enjoy a leisurely cruise on the ferry or Simba and see the dolphins that are plentiful in the clean waters of Port Stephens. You can often swim with the dolphins at Bennets Beach and it is not unusual to see dolphins at play in the Myall River. 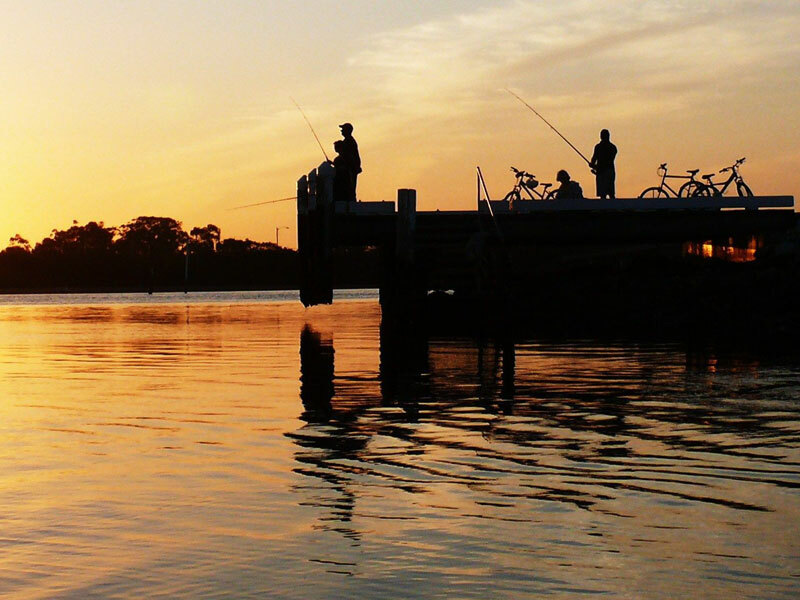 The waterways of the Myall River, surrounding beaches and bays, are a fisherman’s paradise. Local maps and tide charts are available at the Information Centre and the sports store. Koalas, Kangaroos. 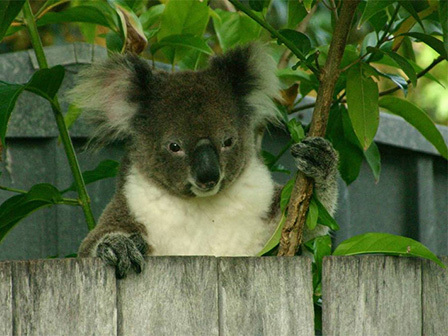 It is still possible to see koalas in their natural environment at the Koala Reserve and in other areas of Hawks Nest and Tea Gardens. Kangaroos, dingoes and birdlife are plentiful in the Myall Lakes National Park. For the 4 wheel drive enthusiasts, there are several bush and beach tracks to get away from it all. 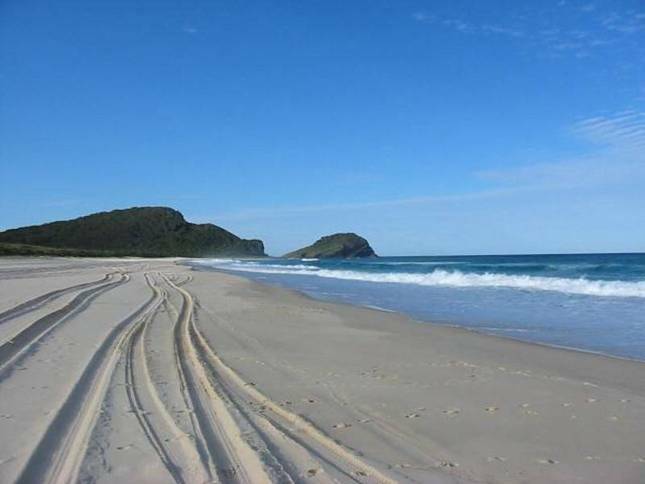 Laze on the white sands of Bennets Beach and Little Gibber and enjoy the natural surrounds. Maps and details on permits are available at the Information Centre and Hawks Nest Liquor Supplies.